She has even had to miss school since the incident. We don't usually think of bath bombs as dangerous. After a long day out of the house, it's always a nice treat to fill up the tub, throw in a bomb and unwind. Unfortunately, one girl's experience with a bath bomb might make you have a second glance at what you're putting in your bath water. Tia, a 10-year-old British girl, was hospitalized after using a budget bath product from UK homewares retailer, Wilko. Tia's mother, Leanne thought the bath bombs would be a nice treat as her daughter had ever used them before. She brought home the 95p product around Christmas time. Five days after taking a bath with the product, Tia developed a rash so severe that she had to be rushed to the hospital. Tia was soon released from the hospital and told it was just a severe allergic reaction. However, her stomach, neck, arms, and thighs were covered in red raised bumps. 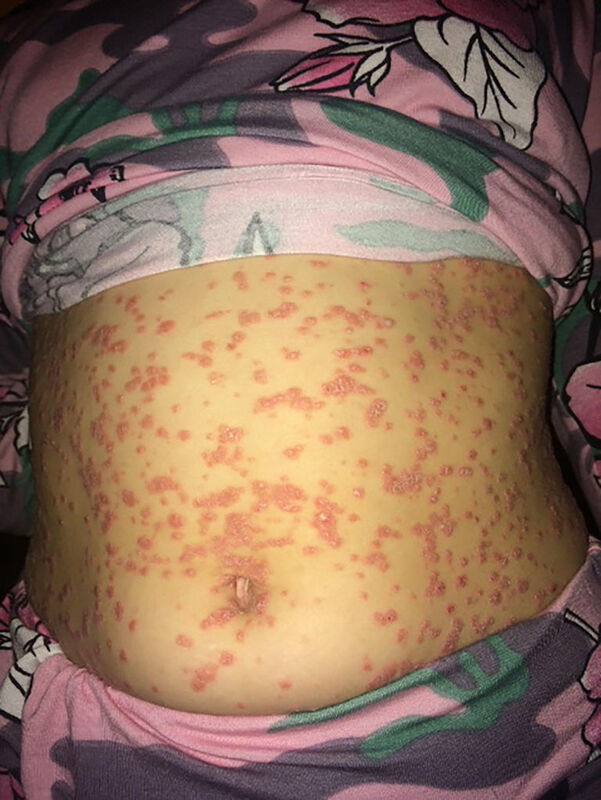 Tia's mother told Caters that the rash has caused some self-esteem issues in her daughter, leading her to miss school. Leanne also notes that there was no warning advisory for people with sensitive skin on the product's label. Wilko have apologised to the family, saying that the bath bomb passed all safety inspections and that they are urgently investigating. It is also apparently the first case of such an outbreak from this product. It's a rare but scary incident which should encourage everyone to be super vigilant about products that go on their skin. We're hoping Tia is feeling better after her ordeal!